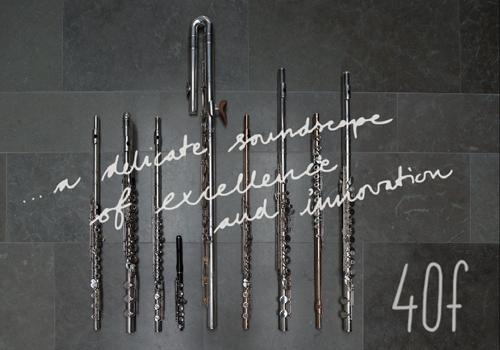 A delicate soundscape of excellence and innovation! Founded in 2008, this Gothenburg-based flute quartet aims to push the boundaries of music by incorporating poetry, electronics and improvisation into its performances. The group has developed a unique soundscape that truly touches its listeners. 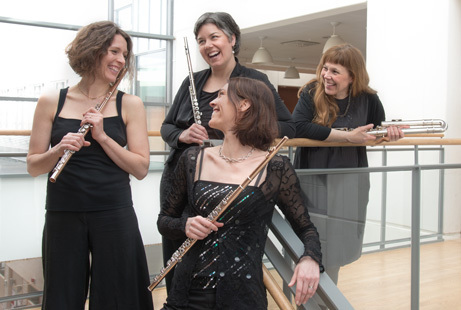 Over the years, 40f’s desire to expand the boundaries of what a flute quartet can do has earned the group a significant amount of interest among composers. Besides giving recitals, the quartet has also worked with young musicians, teaching music appreciation and free improvisation through a series of workshops. 40f have performed in festivals and concert series in Paris, Vienna and toured in Norway. Recently they performed in Grünewaldsalen in Stockholms Konserthus, celebrating the 10th anniversary of KVAST.